Here's the real Secret: You don't need any more how-to-succeed information to reach your full potential. 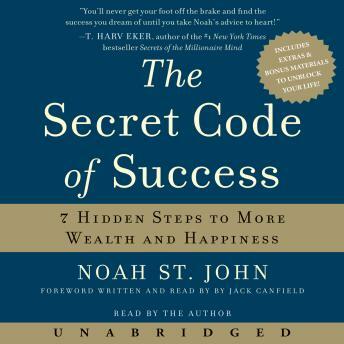 The Secret Code of Success shows that, when it comes to success, the conscious mind is exactly the wrong place to start. It's only when we first conquer the self-sabotage of our subconscious (which accounts for 90 percent of our behavior) that we can truly begin to enjoy a life filled with success. This insight is at the core of The Secret Code of Success and leads to Noah's revolutionary 7-step method for eliminating these psychological obstacles. True financial freedom and personal success is possible at last!